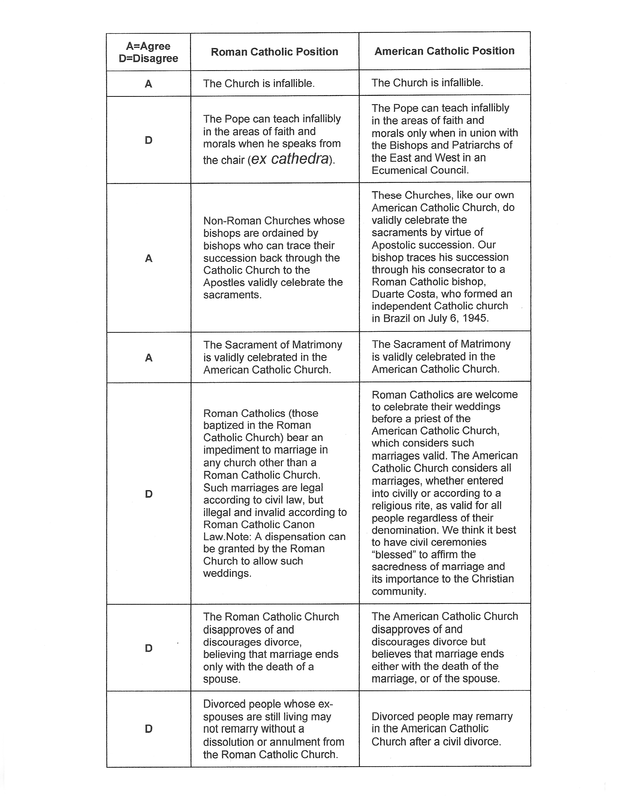 What is American Catholic?A number of churches are called “Catholic.” Scholars group them based on a number of factors. These churches see the Pope as, at least, the first among equal bishops. They preserve apostolic succession, validly celebrate the seven sacraments and adopt the longer Old Testament Canon consisting of 46 books. Besides the Roman Catholic churches which function in union with Rome, this grouping includes Eastern Orthodox churches, Anglo Catholics, some high Episcopalians, and various other small ecclesiastical communities which have separated from the Roman Catholic or Orthodox churches. Even though Catholic scholars believe that the Roman church is the only definitively Catholic Church, Richard P. McBrien, in his college-level catechism, “Catholicism,” states that the above churches are characteristically Catholic in that they celebrate a Catholic Christianity, but lack formal union with Rome. In addition, it should be noted that they are not part of the Protestant Reformation and do not share a distinctively Protestant theology. 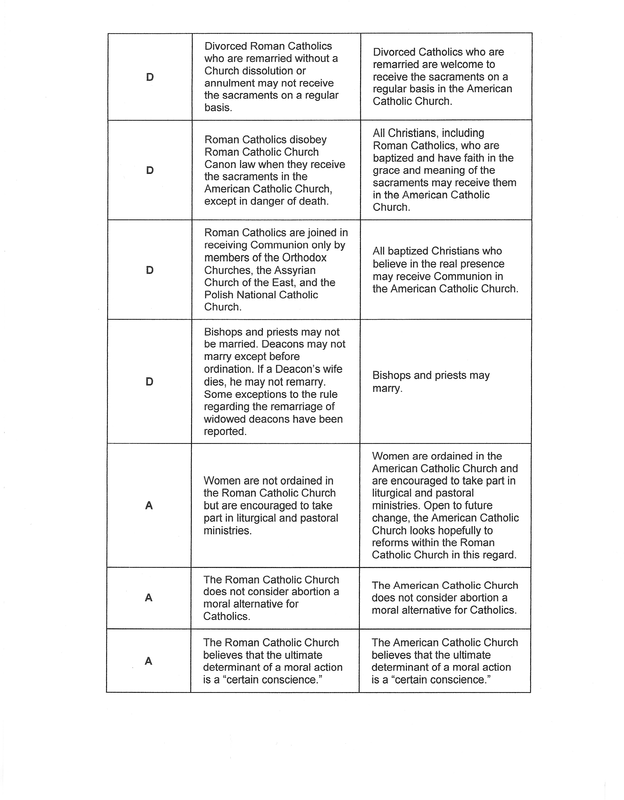 The table below is designed to present a clear comparison between the Roman Catholic position and our American Catholic position on several key issues. We do not necessarily speak for other Independent Catholic juridictions which are also called American Catholic.